Math is key to academic and career success and core to our work, however 1 in 5 Houston area students do not graduate from high school. Our signature program addresses this statistic by supporting math education through student peer-to-peer tutoring, supplemental instruction and professional development for teachers. Houston is the home of our headquarters, and improving math education is a way for us to help equip students for future success. 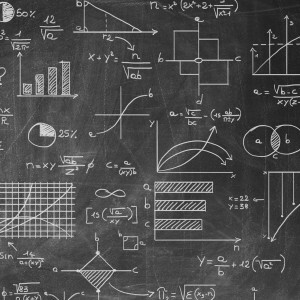 Our Houston Applied Math program supports math education through student peer-to-peer tutoring, supplemental instruction and professional development for teachers. Recognizing Houston-area math teachers who go above and beyond to help their students excel. 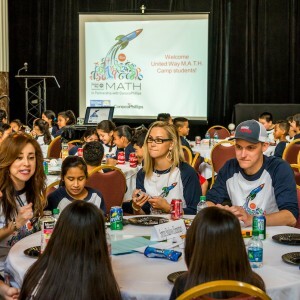 The United Way Mastering Algebra Together Houston (M.A.T.H.) 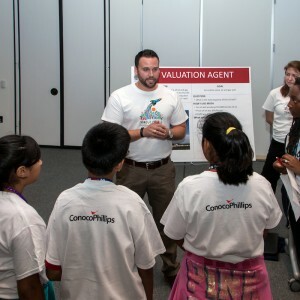 program includes both an innovative summer camp and a peer-tutoring program for students who attend elementary and middle schools in underserved communities. 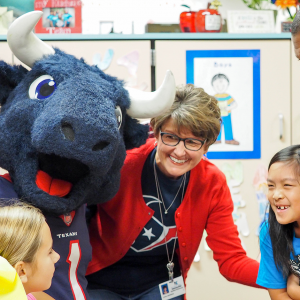 Educational videos developed in collaboration with the Houston Texans to help third and fourth grade students tackle TEKS-aligned math content.